Opened in the mid-19th century Brompton Cemetery was set up as one of the 'Magnificent Seven' series of cemeteries, which included Highgate Cemetery, established to cope with the growing demand for burial space in the city. The 39-acre site designed by Benjamin Baud includes a rather grand domed chapel in the centre of curved 300-foot wide semi-circular arched colonnades - inspired by St Peter's piazza in Rome - at its southern end. Nearby are two warm coloured colonnades made from Bath stone flanking the central path, creating an air of gravitas of as you walk respectfully through the graveyard. Family mausolea, winged sculptures and stone urns all make fitting epitaphs, and a suitable focus for quiet contemplation. Look out for some famous occupants (or take a tour if you really want to know); auctioneer Samuel Leigh Sotheby, and John Wisden, champion cricketer and founder of Wisden's Almanack are just some of the well known people brought to Brompton Cemetery as their final resting place. Beatrix Potter fans can walk in her footsteps and see if they can spot Peter Rabbett, Jeremiah Fisher and Mr McGregor among the engravings on the headstones. As a resident of The Boltons nearby, Beatrix would come here for inspiration. 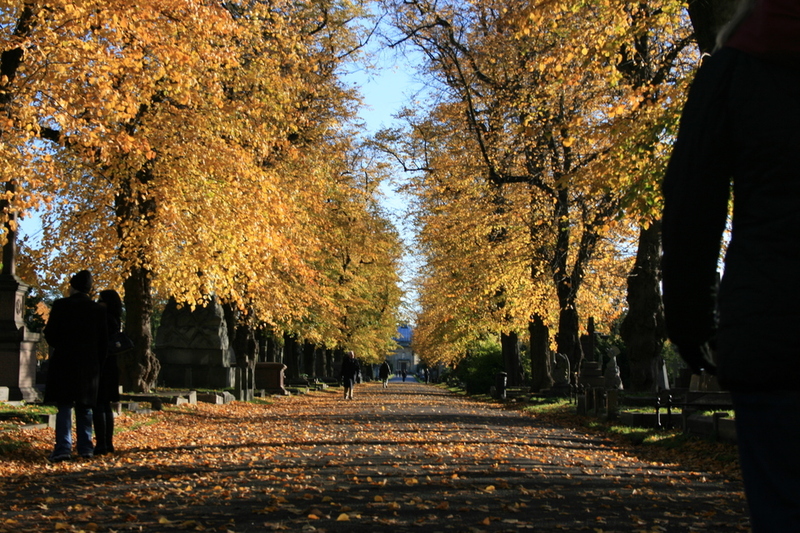 What are the best dining options near Brompton Cemetery London? Brompton Cemetery gyms, sporting activities, health & beauty and fitness. The best pubs near London Brompton Cemetery. Brompton Cemetery clubs, bars, cabaret nights, casinos and interesting nightlife. Where to have your meeting, conference, exhibition, private dining or training course near Brompton Cemetery. From cheap budget hotels to luxury 5 star suites see our discounts for Brompton Cemetery hotels, including DoubleTree by Hilton Hotel London - Chelsea from 81% off.